Now back to our regularly scheduled programming: My Awkward Life. Y’all, I had the most awkward moment in my not-as-short-anymore-life a couple weeks ago. And this is coming from the girl who asked out her chiropractor – and then went back to him. It was terrible. As ground work for this story, let me say that although I’m on this kinda-break from dating, I did have one “pre-existing” guy that resurfaced about the same time I started my break. So, I was grandfathering him in and had a date planned with him for the Tuesday after Halloween. Anyway, so the Chicken and I ended up talking outside for quite a while, and as we’re sitting there, a guy high-fives me. While I’m high-fiving him back, I look up and see that his buddy, dressed like a tiger, is the guy I have a date scheduled with for 3 days later. Pause for a moment and let’s reflect on how small of a town Nashville really is. I run into people I know all the time. Usually in less uncomfortable circumstances. Back to my story, the Tiger says nothing, but keeps walking, and I tell the Chicken that I have a date with that tiger on Tuesday. I figured he might as well share in the discomfort with me, although to his credit, he was much less phased by it than I was. The Chicken and I keep talking, and after a little while, I’m calling an Uber again, when from across the street, I hear my name. The Tiger yells hey and waves and keeps walking. And I want to die. The Chicken says I can go talk to him, but that’s weird. I think I just did a little half-step dance move, said “this is the most awkward situation of my life”, and got in my Uber. Needless to say, nothing ever came of either of those two guys. No big loss with the Tiger – this was about his 4th chance, anyway. But, I wouldn’t have minded talking to the Chicken more, even though I don’t think he shared my values. So, maybe it was for the best. And, there you have it. Definitely the most awkward moment I’ve ever had – hopefully the most I will ever have. It really was like being in the Mindy Project or some other sitcom. But, I survived, and maybe the two bullets dodged made it all worth it. 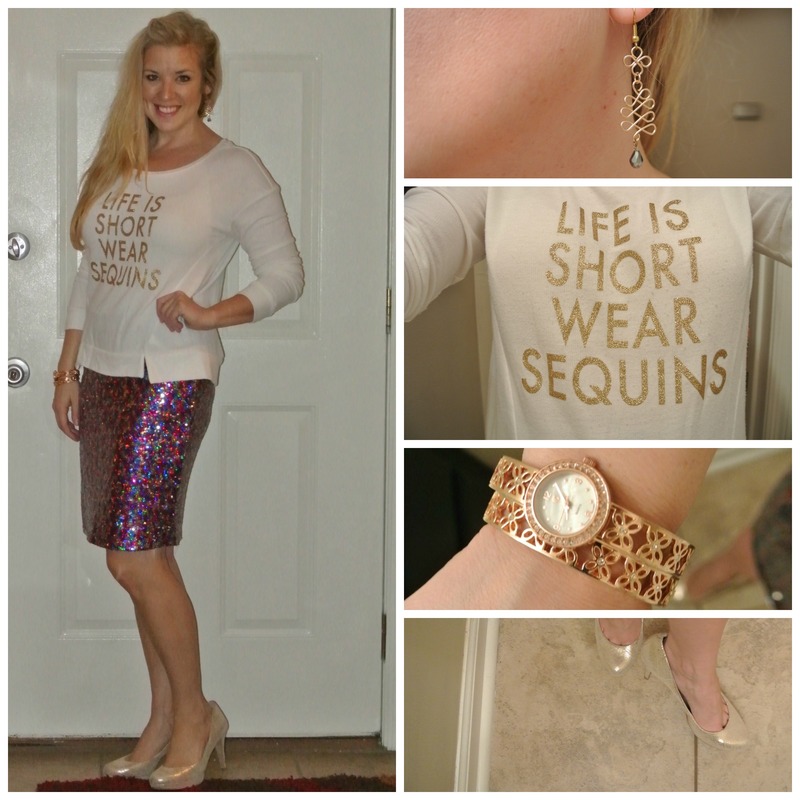 As my shirt says, though, “Life is short.” Embrace the awkward (and wear sequins).